Paper towels are honestly not something that I put too much thought into. I usually just grab and go in the paper products aisle. 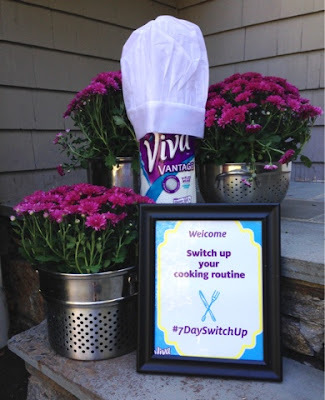 Therefore, I was excited when Viva® Vantage® contacted me to attend a live 7-Day Switch Up Event. What's the 7-Day Switch Up, you ask? Well Viva® Vantage® understands that people fall into a routine when buying every day products and might not be aware of the other great options in the process. 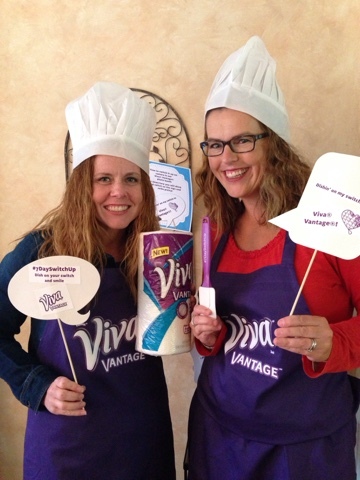 Therefore, Viva® Brand is asking customers to switch to Viva® Vantage® for seven days to see what they've been missing out on with their regular paper towel! At the event I attended, we learned of the stretchy strength and great scrubbing power of Viva® Vantage® which helped to recently name it a 2015 Product of the Year. There were various stations and activities set up so that we could try out the product and it's revolutionary V-Flex™ weave. 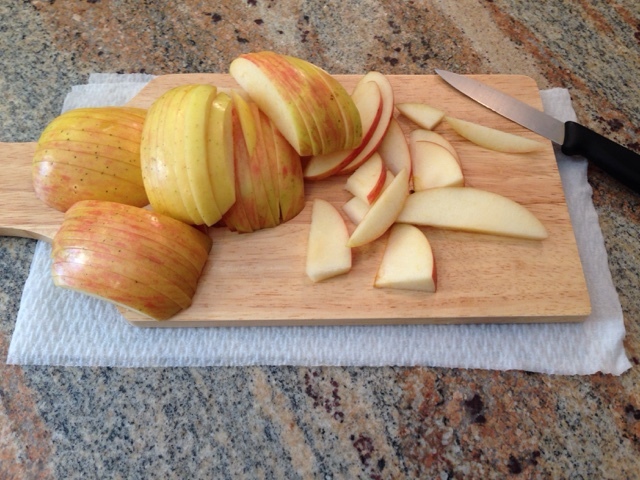 One thing I learned is that you can place a wet paper towel under a cutting board (wood or plastic) to prevent it from moving while you slice, dice, and chop away. These apples weren't going anywhere! Another Switch Up I learned of was thanks to the stretchy strength of Viva® Vantage®, you can use the towel as a colander when rinsing fruits and vegetables. 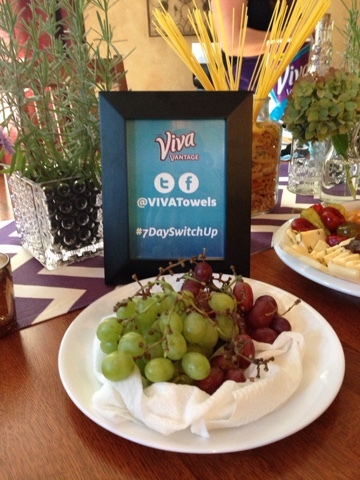 We tested it out with grapes by placing them under running water and the Viva®Vantage® stayed intact! 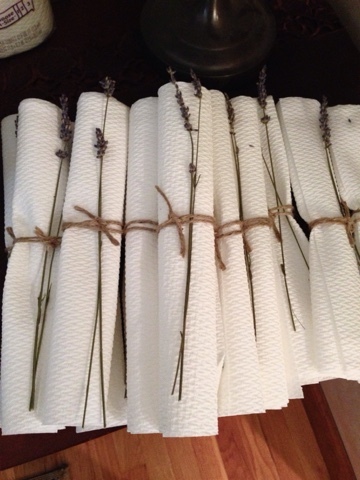 I often use paper towels on my hands but would never have thought to dress them up a bit and put them out for guests. At the event, they rolled them up and tied them up with a flower. At my house, you probably would have just been handed the roll of paper towels - party foul, for sure! 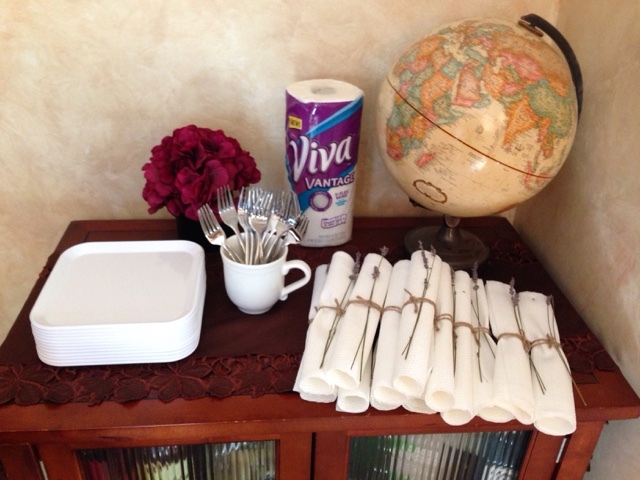 I helped myself to one of these Viva® Towels and headed right to the food. There was an apple, brie, and prosciutto bruschetta that was to DIE FOR. I seriously had about 8 of them. I was then able to wipe my hands and mouth before diving in for another one! 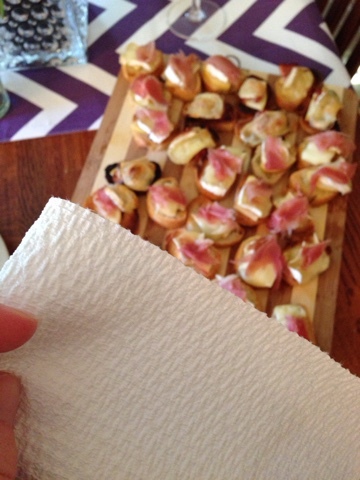 Grooves on the paper towel to catch the drool from looking at the bruschetta! Viva® Towels aren't just for the kitchen though. You can place them out in singles in a basket in the bathroom so that each guest gets his or her own towel to use and dispose of. 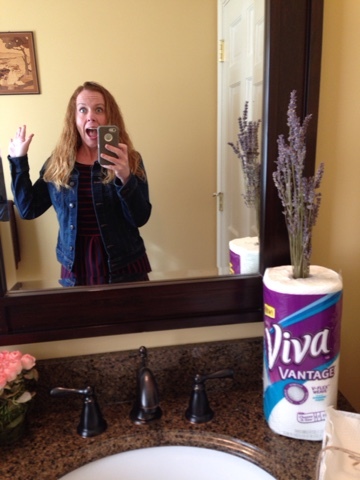 Who's excited about Viva® Vantage® in the bathroom? This girl! And of course, no blogging event is complete until my blogging partner in crime, Stowed Stuff, and I have a little fun with props. 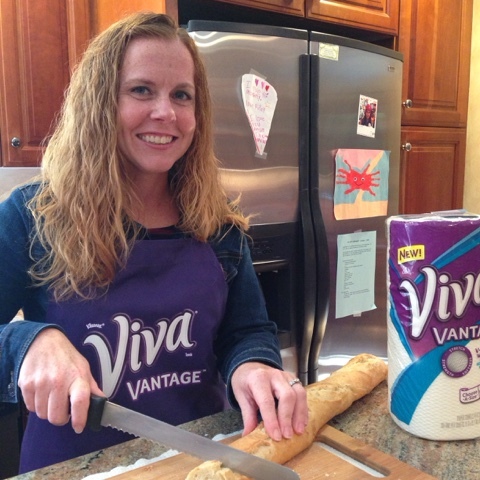 This past week, I've been using Viva® Vantage® at home and one thing I like is the great scrubbing power that it has. With three young children we have lots of icky, sticky stuff going on here and Viva® Vantage® stretches to scrub those every day messes. There's nothing worse than when you end up with white shredded fuzz from a paper towel that couldn't handle the job. The sponge-like absorbency has also been great for those inevitable milk spills! Ready to take the challenge yourself? You can kick off your own 7-Day Switch Up by clicking HERE for a coupon to purchase the product. Once you've experienced the product, you can return to the site to dish on your switch and enter for a chance to instantly win a $100 gift card. Happy cleaning, scrubbing, stretching, and wiping everyone! Disclosure: This is a sponsored post written in collaboration with Viva® Vantage®.